Apex Court Bench comprising of Chief Justice T.S. Thakur and Justice Kurian Joseph has referred the question whether any ‘retired employee’ of a Municipal Corporation is an employee of a ‘company owned or controlled by the State Government’ within the meaning of Section 23-J(ii) of Madhya Pradesh Accommodation Control Act, to a larger Bench for determination. The bench was hearing an appeal against judgment of Full Bench of the High Court of Madhya Pradesh wherein it has by a 2:1 decision answered the said question in the negative and declared that ‘retired employees’ of Municipal Corporation will not be covered under Section 23-J (ii) of the Act to maintain an application for eviction under Chapter III-A thereof. In Ranjit Narayan’s case (supra) a Division Bench of the High Court of Madhya Pradesh had answered in affirmative the question whether Madhya Pradesh State Road Transport Corporation was a ‘company owned or controlled by the State Government’ so as to entitle any employee who retired from its service to maintain an eviction petition under Chapter III-A of the Madhya Pradesh Accommodation Control Act, 1961. Later Supreme Court had upheld the view taken by the High Court. In this case, Madhya Pradesh High Court draws a distinction between the fact situation in Ranjit Narayan Haksar’s case and observes that the Court was not in that case concerned with the status of a retired employee of the Municipal Corporation or his right to maintain an eviction petition. 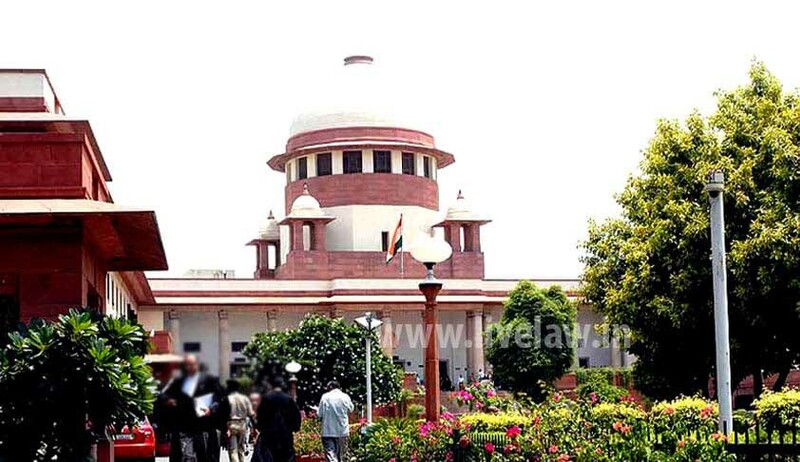 The Apex Court Bench said that the real question is whether Section 23-J(ii) was intended to benefit employees of trading companies or corporations alone or was such benefit also meant to be available to Municipal Corporations which are in terms of their activities materially different from trading companies or corporations.” If the answer be in the negative the incidental question that may require to be examined would be whether the term ‘company owned or controlled by the State Government or Central Government’ appearing in the statute deserves an expansive and liberal interpretation to save the same from being declared unconstitutional. That is because even when employees of Municipalities or Municipal Corporations may not be government employees or employees of a company owned or controlled by the State within the meaning of the statute and even when the classification between the State Government employees and employees of Companies and Corporations owned or controlled by the State Government on the one hand and those of Municipal Corporation on the other may be an intelligible classification, yet, there may be no nexus between such classification and the object sought to be achieved by the statute. The object underlying Chapter-IIIA, there is no gainsaying, is to make it easier for retired government employees and employees of Corporations owned or controlled by the government to get their properties vacated from the tenants or occupants of the same. If that be the so, there is no reason why employees of Corporations that are discharging governmental functions or functions akin thereto should be deprived of that benefit. It may be difficult to justify the refusal of benefit or discover a nexus between the classification as suggested by the majority judgment and the object sought to be achieved by the legislation”.